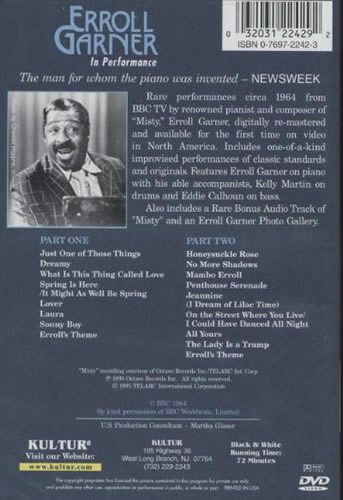 Rare performances circa 1964 from BBC-TV by renowned pianist and composer of "Misty," Erroll Garner, digitally re-mastered and available for the first time on video in North America. Includes one-of-a-kind improvised performances of classic standards and originals. 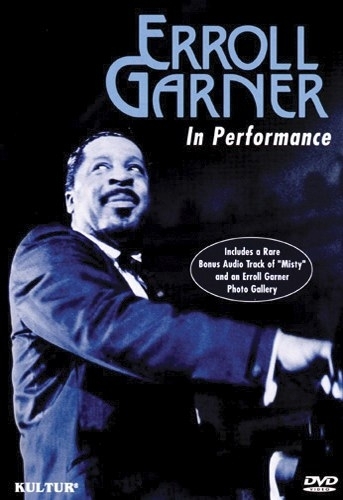 Features Erroll Garner on piano with his able accompanists Kelly Martin on drums and Eddie Calhoun on bass. Also includes a rare bonus audio track of "Misty" and an Erroll Garner photo gallery. Penthouse Serenade and many more!